Wajima Kiriko Art Museum displays a collection of 31 unique Kiriko lanterns. 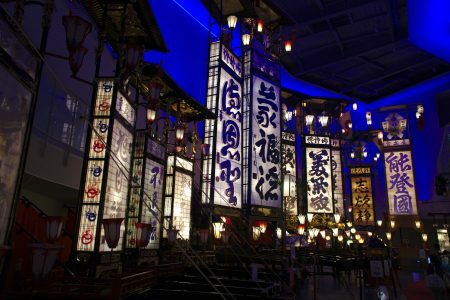 Kiriko lanterns are used during Matsuri to guide portable shrines which are carried around as part of the festival ceremony. 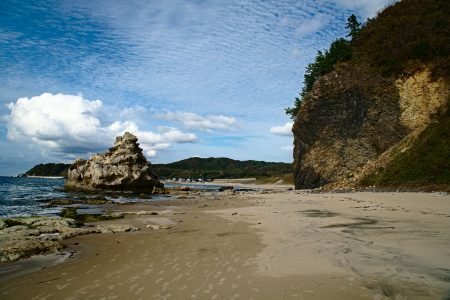 In the Noto region the Kiriko lanterns have become so popular, that they can be the main attraction themselves. 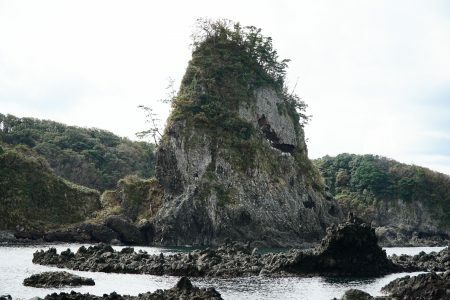 Noto Kongo Coast (sometimes referred to as Notokongou) is a rugged stretch of coast on the western side of the Noto Peninsula, in Ishikawa Prefecture. 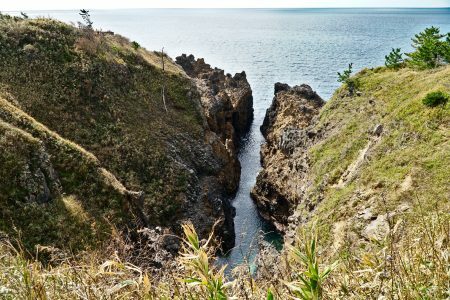 Yoshitsune no Funakakushi, literally meaning “Yoshitsunes Boat Hiding” is a long, narrow gorge found on the Noto Kongo Coast of the Noto Peninsula. 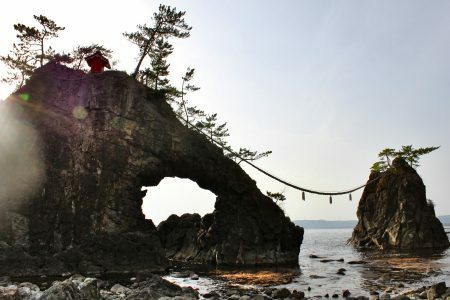 Hatago Iwa (機具岩), also known as Noto Futami, are a pair of sacred rocks located in the sea a few kilometers north of the famous Ganmon rocks.